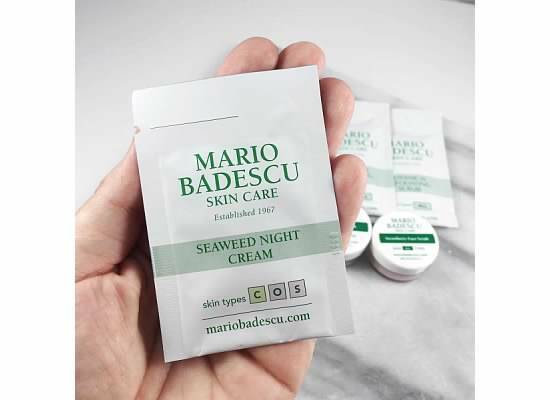 An online skin analysis by Mario Badescu and then free samples sent to your door? YES PLEASE!!!! 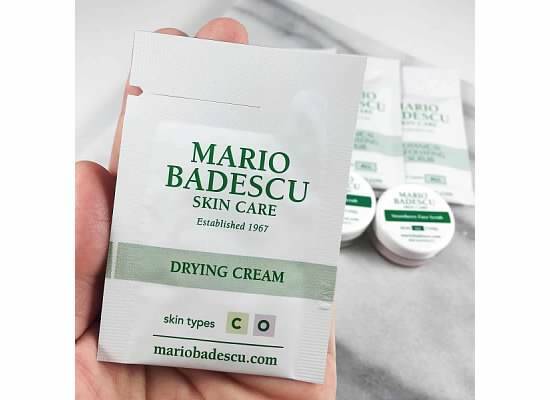 I had no clue Mario Badescu offered this service and I am so happy I came across it. As you know I am going through a skincare journey and its a slow process. I have to give my skin time to breathe in between trying products (especially when I break out) and I need to give it time to see if the product actually works for me. 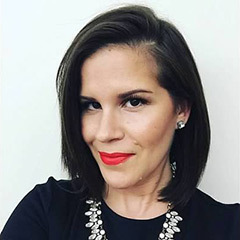 If you are interested in reading some of my previous skin care posts you can read them here & here. 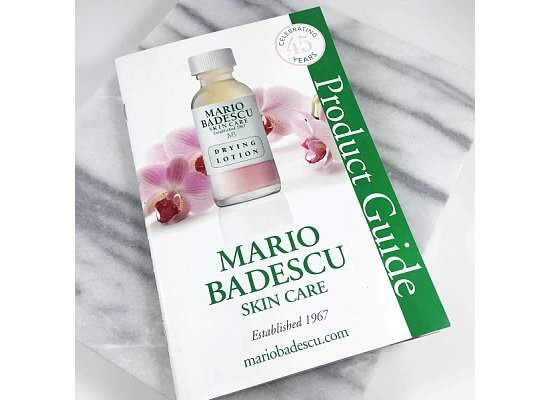 So while I was researching skin care I went to Mario Badescu direct website. Although Ulta Beauty offers the line there is still something exciting about going to the direct source and I am so glad I did. Once I completed the skin analysis I had no idea I would get sent the samples until I received an email asking for my address. Once I saw that I decided I was going to put it to the test and do it two more times. I answered the questions a bit differently each time but still pertaining to my skin. I do get texture but not all the time so that is the subject area I answered differently. Mario Bedescu sent me out two packages with samples per my skin analysis results. One I had sent to my house, one to my parents house but the one I did for my work never arrived. Not sure if they caught on lol or it just didn’t make it to my office. Either way this is a service you MUST TRY!!!!! Lets talk about the samples I was sent per my Skin Analysis. There were some hits and some misses. The first thing I noticed was the product guide I received. 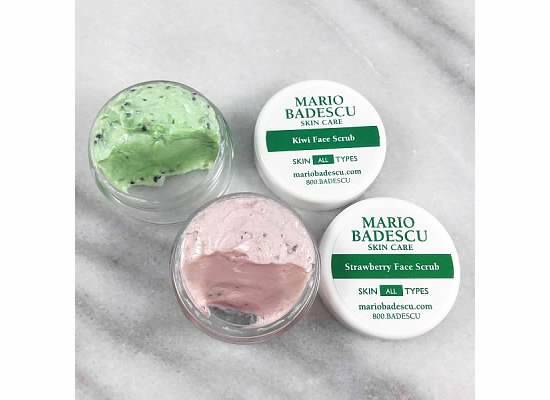 Mario Badescu makes finding skin care extremely simple. Everything is labeled by skin type (dry, oily, sensitive, all ect ) which I find so helpful. I looked through my samples and then referenced them in the guide to see what they they claim to do. I LOVED the way this cream made my skin feel but it made my skin itch near my jaw line. This is a sure sign for me the product is not going to work for me. I was so upset because it was not heavy but moisturizing and left my skin feeling sooooo smooth in the morning. This does contain parabens so that may be why as I am realizing parabens can be a trigger for me. 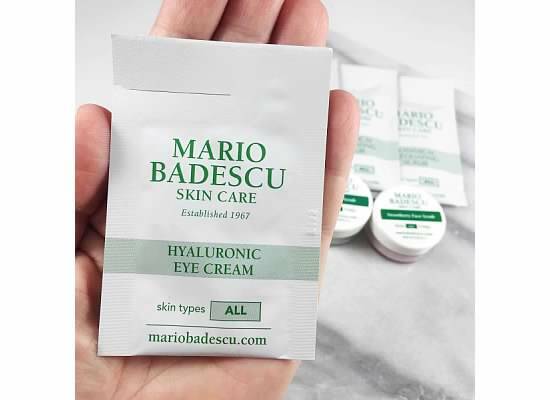 The next product I tried was the Hyaluronic Eye Cream. WOW WOW WOW. I will be buying the full size. Even though it contains parabens as well it did not bother the skin around my eyes. This eye cream is incredibly moisturizing and allows concealer to go on like a dream and it most certainly made the area around my eyes smoother. A little goes a long way which is important to me and mainly my wallet. Another unfortunate miss was the face scrubs. Not only did they break me out, I just did not feel that they worked in terms of exfoliating. The hype is real about this drying lotion and this is another product I will be purchasing. Whether you have a random blemish or its that time of the month this lotion is a life saver! Since having my son blemishes occur at random for me now so it wasn’t long before I put this to the test. I put the drying lotion on my blemishes at night and by morning they were TINY and DRY!!!! It was enough proof to show me why people rave about this product and how its award winning. I was so impressed with this service by Mario Badescu and I recommend it 100%. If you have tried this service I would love to hear your thoughts and experience in the comments. What is your favorite MB product? The Rose Water spray is a must have!!!! !